Dumfries and Galloway Council Leader Elaine Murray has called for a transformative South of Scotland Enterprise Agency that is built in the South at a meeting of the Scottish Parliament’s Rural Economy and Connectivity Committee. 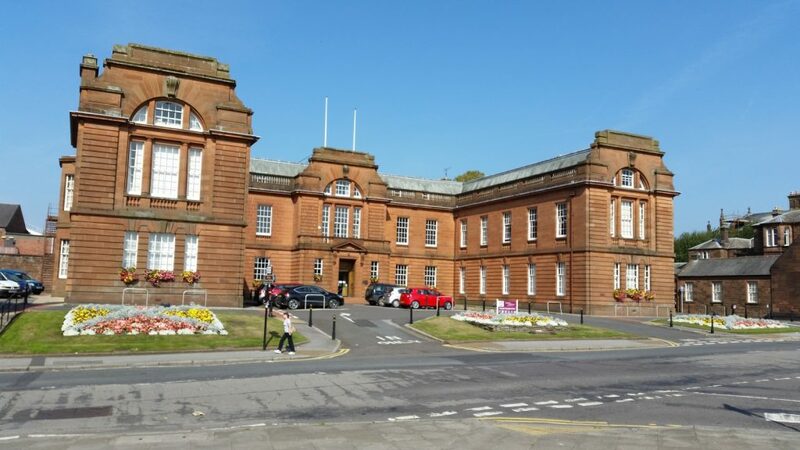 The Scottish Parliament’s Committee held an evidence session at the Easterbrook Hall in Dumfries yesterday (14 January), hearing from Dumfries and Galloway Council, businesses, community groups and local residents. In her opening remarks Leader Elaine Murray said: “We believe that the establishment of the new Agency can transform the efforts of current partners to drive forward the economy of the South by connecting efforts around a regional agenda and providing structure, focus, alignment and momentum. The Agency must be ‘built in, and for’ the South of Scotland, giving us collectively the power to address the social and economic challenges which bedevil our large and distinctive rural region and to maximise the potential of our considerable assets. Speaking after the Committee meeting Councillor Elaine Murray said: “I am grateful for being able to give evidence on the current proposals in athe South of Scotland Enterprise Bill at the Scottish Parliament’s Rural Economy and Connectivity Committee. Our Council has campaigned for an Enterprise Agency for some time and we are pleased to see the foundations being laid.